Chances are that if you asked people to name a medium-sized family hatchback, the Seat Leon would be quite a way down their list. They might easily be able to roll off the names of cars such as the Ford Focus, Volkswagen Golf and Vauxhall Astra, but the Leon has always been on the outer reaches of the public’s radar. Considering how good it’s always been and how much it undercuts its rivals on price, this is a real travesty of justice. This third-generation version is based, like those before it, on the underpinnings of the Golf, and that alone has been enough to make it a very good car. It’s not only shorter, lighter and roomier than its predecessor, but also more efficient and much better to drive. There’s an excellent range of engines to choose from, kicking off with a 1.2-litre petrol engine and working up to a 296bhp 2.0-litre flyer in the Cupra. In the middle sits our favourite, the 148bhp 1.4-litre EcoTSI, which is smooth, powerful and extremely economical thanks to cylinder deactivation technology. In 2017, a new 1.0-litre three-cylinder engine was introduced, and this we would also recommend, for its flexibility and economy. Diesel versions start with an astonishingly economical 1.6-litre engine, good for 70.6mpg in some models, then through the punchier 148bhp 2.0-litre and up to a noticeably swift 181bhp 2.0-litre unit. Leons are well-equipped, too, with even the entry-level S getting a few neat toys, such as an infotainment touchscreen and air conditioning. The range moves up through SE and FR versions, adding cruise control and sportier styling respectively, both of which are also available with a popular Technology pack that includes LED headlights, a DAB radio and sat-nav. The Cupra hot hatch version sits at the top of the range, while, later in life, the luxurious Xcellence version was added to sit above the FR. 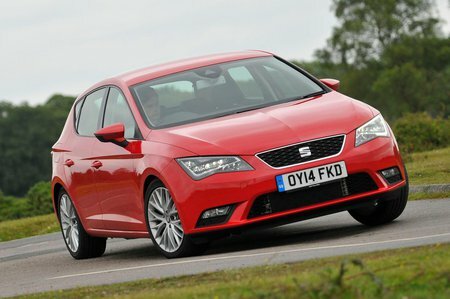 On the road, the Leon feels sprightly, with distinctly sporty handling. Quick steering teams up with suspension that controls body movements well and there's plenty of grip to make it a rewarding thing to drive fast, even if it isn't quite as involving as the Focus. And despite a ride that errs on the firm side, the Leon is comfortable, too. Inside, there’s plenty of space for a family and all its paraphernalia, whether in the front or in the rear. The boot is a good size, too, although its high lip means the Leon isn't the most practical family car out there. 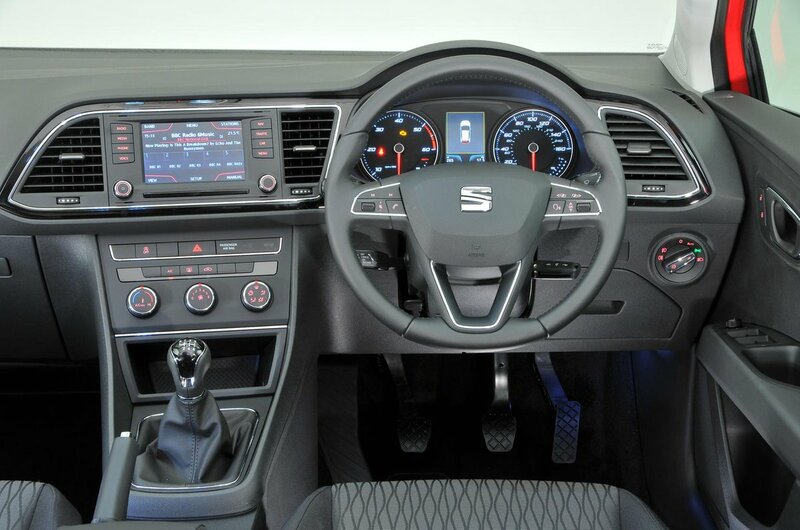 You get a smart, stylish dashboard, which, while lacking the ultimate quality of the Golf's, still feels better built than many other rivals'. The Leon received a light facelift in 2017, during which it gained a smattering of styling changes, as well as a new 1.0-litre petrol and updated 1.6-litre diesel engines. Other changes included a larger, more modern touchscreen infotainment system, higher-quality plastics inside and an electronic handbrake in place of the old manual one.